New Vision for Independence Celebrates 10 years. Leesburg, Florida – On Tuesday, July 14, 2015, at 5:30 p.m., New Vision for Independence, along with the Leesburg Area Chamber of Commerce, Tavares Chamber of Commerce and Mt. Dora Chamber of Commerce, will celebrate 10 years with a Multi Chamber Ribbon Cutting Ceremony. The ceremony will take place at Tavares Pavilion on Lake Dora, located at 200 S. Disson Ave. Tavares, Florida. 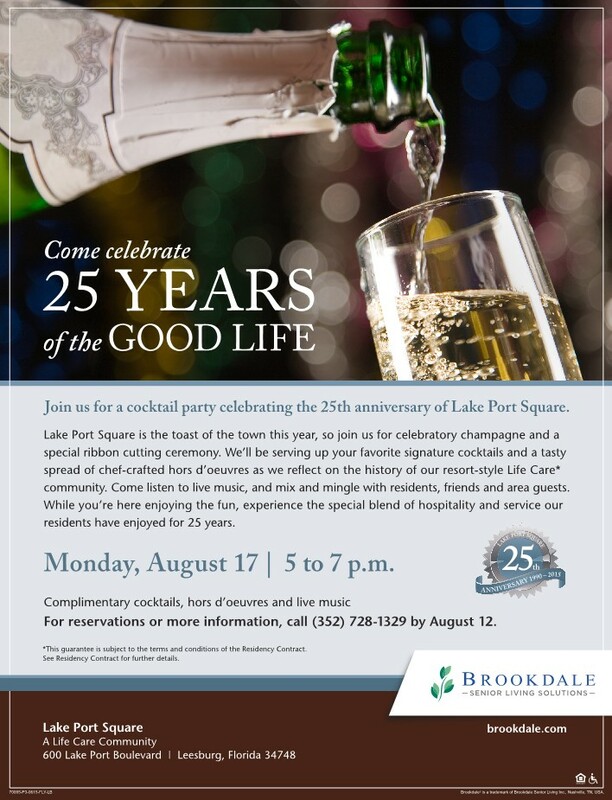 The fun begins at 5:30p.m., with dessert and cash bar followed by the ribbon cutting at 6:15p.m. This is a free event and open to the public. New Vision for Independence, Inc. (New Vision) is a nationally accredited 501(c)(3) tax-exempt organization and was incorporated on July 18, 2005. New Vision provides unique training to persons experiencing severe bilateral vision loss that is affecting their daily functioning in daily living, vocational, or academic activities. New Vision serves adults and children through age five who reside in Lake and Sumter counties and The Villages. New Vision is the only provider of these vital services for this population in this geographic area. New Vision is committed to excellence in providing rehabilitation, community education, and support services for people with low vision or blindness, and their families to promote independence, acceptance, and self-confidence. For more information about the New Vision for Independence visit www.newvisionfl.org. Occupational Health-LRMC is hosting the July Business After Hours. Leesburg, Florida – On Thursday, July 16, 2015, at 5:30 p.m., join us as Occupational Health-Central Florida Health Alliance, along with the Leesburg Area Chamber of Commerce, host the monthly Business After Hours. It will take place at the Occupational Health-Urgent Care building, located at 550 East Dixie Ave. Leesburg, Florida. The fun begins at 5:30p.m. ; nibble on tasty hors d’oeuvres and sip Lakeridge Wine while networking with area Chamber Members and their guests. Throughout the evening a tour of the facilities will be available and the chance to win healthy living inspired Door Prizes! Bring your business cards! We hope to see you there. 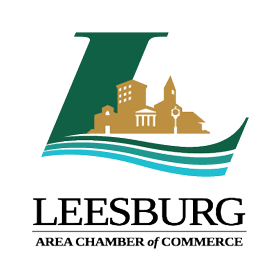 The Leesburg Area Chamber Business After Hours is a very popular and well-attended networking business function. It provides an outstanding evening of fun, food, and fellowship between Chamber members and their guests. With a chance to network, make new friends, and meet potential customers, hosting a Business After Hours is a unique opportunity to showcase your business. This is a perfect opportunity to introduce your particular products and/or services to fellow Chamber members. 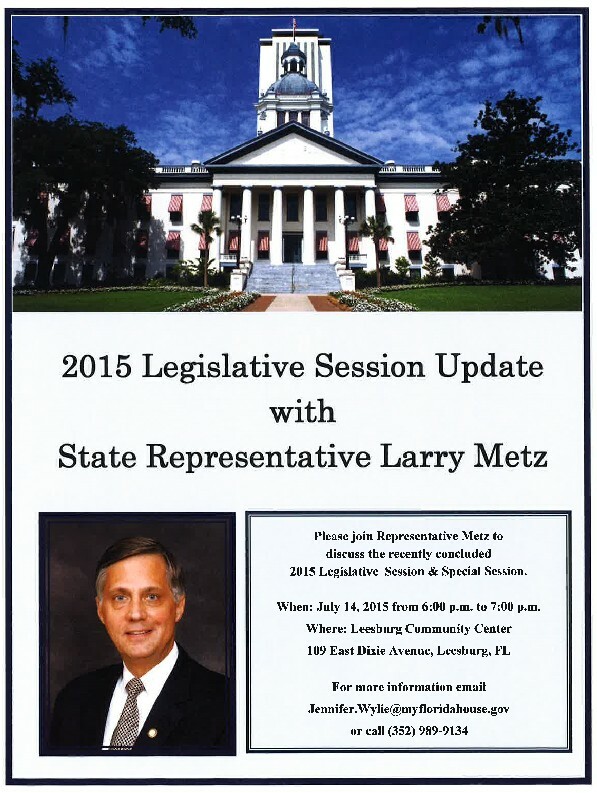 Please contact the Leesburg Area Chamber of Commerce for availability 352-787-2131. For more information about the Central Florida Health Alliance-LRMC Occupational Health visit http://www.cfhalliance.org/services-therapy-occupational.html. Click Here to view more information on how your business can be featured! Looking for a gift for your Lake County Student? How about a technology gift that they can use while in class, & at home to work on homework or have fun?? 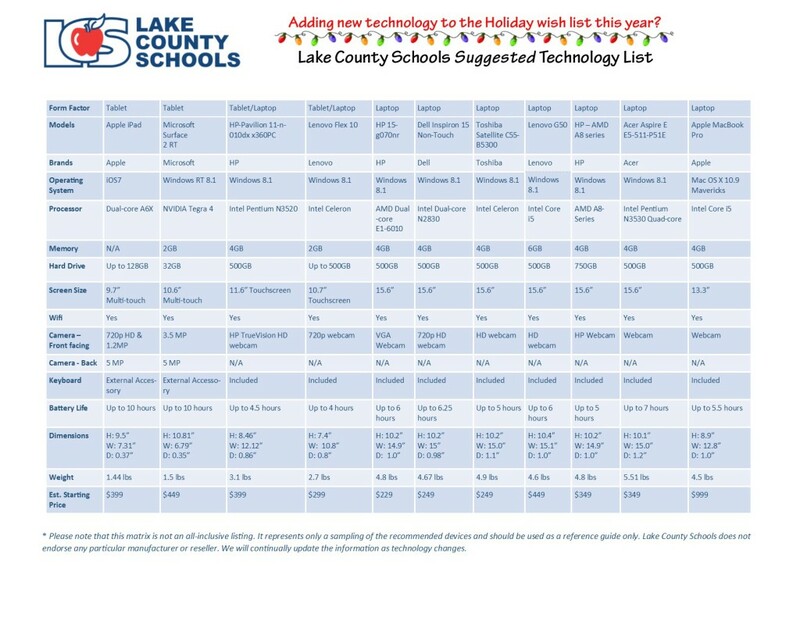 Below is the list of compatible devices compiled by The Lake County School District that students can use while in the classroom. Thank you to those who attended the Education Summit on July 29th. Your input was greatly appreciated. That was just the first step in the process of helping to make a positive difference in our schools. Please stay tuned for information on other ways you can help. We can’t do it without you!!! How would you like to be “Taking Care of Business” in one location, with exposure to a large audience? If the answer is yes, then you need to register for the Business EXPO coming up on Thursday, October 23rd from 4:00 until 8:00 pm at the Leesburg Community Building. Registration forms are available by clicking on the links below. We had so much fun with this event last year, we are bringing it back this year!!! It’s our Lake Golf Scramble, now called the Golf Splash. You don’t have to be a golfer to participate, anyone can play!! Those who participated last year can tell you how much fun it was!! This is a great way to have a fun day outdoors with business prospects, clients, or fellow co-workers. It will be held on Friday, September 12th, starting around 1:00 pm. Tee Boxes are $250.00, Players – $50.00 per person. If you are interested in sponsoring or playing, please contact the Chamber (352) 787-2131. On Tuesday, July 29 at the Leesburg Community Building on Dixie Ave., Leesburg community and business leaders are joining with Lake County Schools to host a public education summit. It will be a unique opportunity to share ideas with top educators and to encourage more community support for schools. The schools are challenged with increasing educational requirements & limited funding for programs & facilities. Meanwhile, working families have difficulty providing educational assistance from home. Discussions begin at 7 p.m. Among those attending will be Lake County Schools Superintendent Dr. Susan Moxley, Chief Academic Officer Dr. David Christiansen, School Board members and local school principals from around Leesburg. Community participants include church leaders, officials from the City of Leesburg and the Leesburg Area Chamber of Commerce as well as representatives from various civic organizations. Parents and interested business people are encouraged to attend. New Location!! New Look!! New Hours – Thursday, October 23rd from 4:00 pm until 8:00 pm. Leesburg Community Building, 109 E. Dixie Ave. Early Bird Registration Special – $50 off Booth Price on form – must be registered & paid by July 31st. 2nd Annual Golf Splash at Venetian Gardens on Lake Harris!! Like No Other Golf Event You Have Been To!! Please contact the Chamber (352) 787-2131 for sponsorship opportunities, or to register to play.